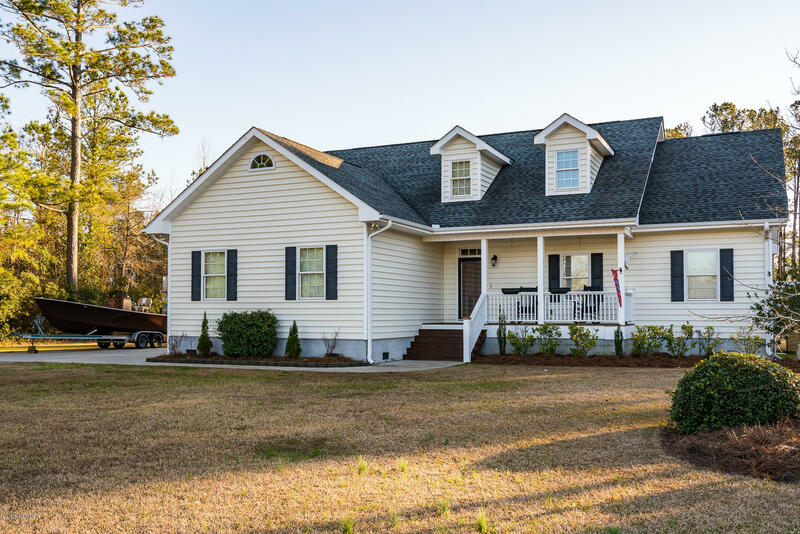 Beautiful custom home on 2.5 acres, less than 15 minutes to downtown Beaufort! First floor living with open, comfortable rooms, nine foot ceilings, gas fireplace, generous master suite, beautiful luxury vinyl flooring throughout, and tons of storage! Completely finished second floor with separate HVAC for efficiency – great for dormitory, kids space, family room, game room or guest area. Extra rooms for versatility and guests! Two car attached garage plus a detached workshop large enough to store all of your toys and gear, work on boats, or anything you could imagine! A lovely screened back porch is perfect for enjoying the afternoon sun. Enough yard space for gardening to your hearts delight! This spacious, efficient home with low maintenance is a must see!